1. I prepped the skin with Young Blood Primer in preparation for the foundation – I used one of my favourite brands (a very fond member of my kit) MAKE UP FOR EVER HD Foundation. I love this formula as it is invisible on HD cameras and it gives flawless coverage. I set the foundation with a dusting of Super Matte Powder by MAKE UP FOR EVER. 2. To add dimension to Ciara’s foundation and enhance her natural bone structure, I sculpted the hollows of her cheeks with MAC Sculpting Powder in Bone Beige (I used MAKE UP FOR EVER Foundation Brush 108). I then used Melba blush by MAC to add a rosy glow to the cheeks. I highly recommend MAKE UP FOR EVER Blush Brush 25S. 3. 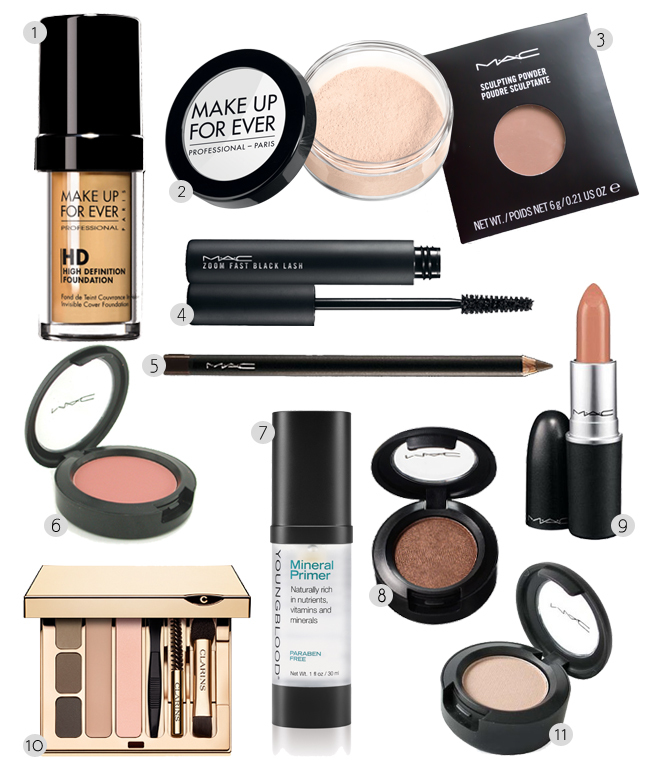 It’s time for eye make-up… like the complexion, the eyes have to be prepped and primed if you want the shadows to last a full day and into the night. For long lasting staying power, be sure to check out and follow these 5 simple steps over on my previous blog post. Starting with base shade Brule by MAC, I applied the shade from lash line to brow with a flat shadow brush (Brush No 12S from MAKE UP FOR EVER). 4. I then loaded a pencil brush (MAKE UP FOR EVER No 15S) with the scrumptious MAC Bronze Eyeshadow, tapping off the excess. I worked the shade into the socket crease, making sure to take it out to the edge of the eyebrows and with the same brush swept the Bronze shade under Ciara’s eyes. 5. With a clean shader brush (MAC No 239), I blended the bronze shade deep into the socket crease until the shadow faded just above the socket – this gives an airbrushed effect and a seamless finish to a contouring shade. 6. I then applied MAC Ricepaper eyeshadow on the lid using a MAKE UP FOR EVER 10S brush, starting from the lash line covering the ball of the eye and with the same colour, I finished with a blend above the socket crease. 7. I dabbed a little MAC Nylon eyeshadow to lighten up the inner corners of the eyes. The contouring is the only part that takes a little practice the rest is easy peasy!! I finished with an outline of MAC Coffee Eye Liner, both top and bottom with lashings of MAC Zoom Fast Black Lash Mascara. For the lips, I used Spice Lip Liner and Cherish lipstick both by MAC. 8. Grooming the brows is the final step. Brows balance the features and frame the face. 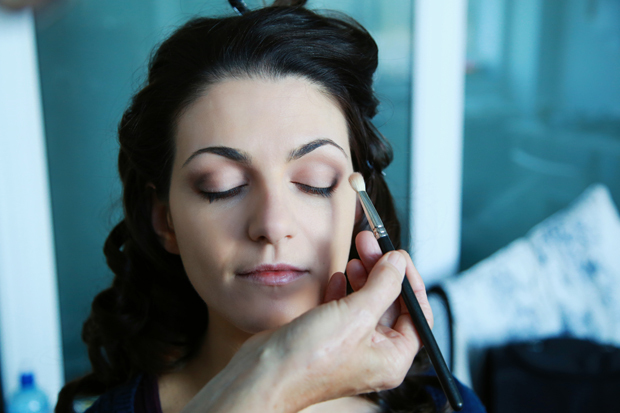 For a bride I prefer a natural groomed brow rather then the ‘on trend HD Brow’. 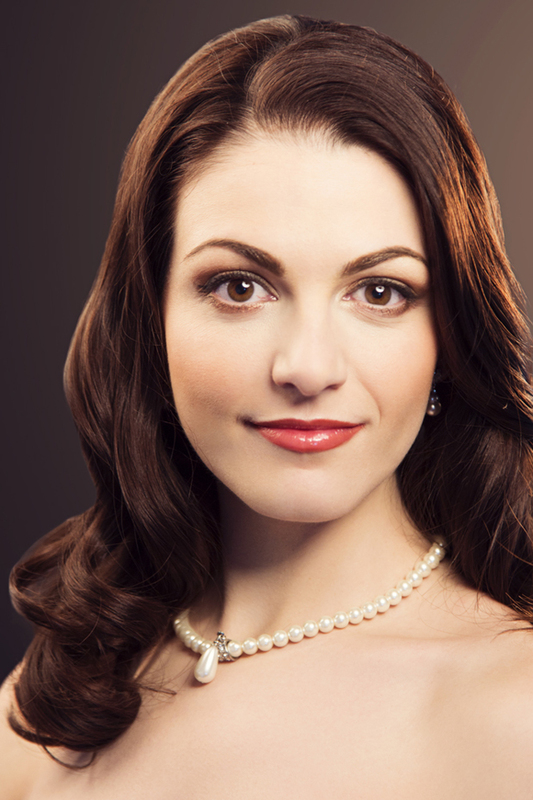 No matter how dark the natural brows are, I never ever fill them in with black – always lighten the brow! For Ciara I worked with the Clarins Pro Palette Eyebrow Compact – using the brown shade I applied it with an angle brush working with Ciara’s natural brow shape. I thickened the inner part of her brow so that it was slightly fuller, and then tapered it towards her temple. To finish, I lightly brushed off the excess with a cotton bud before brushing the brows back into shape with the brow gel. 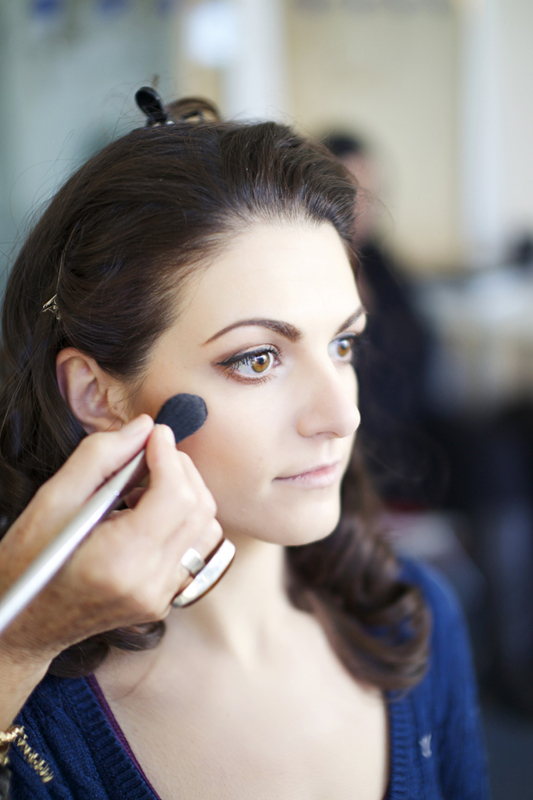 Voilà – a perfect finish to a bridal make-up look! With twenty years experience behind her, Marie is one of Ireland’s leading and most sought after Make-up Artists, she is Beauty insider, Make-up Artist and Beauty editor for ‘Irish Wedding Diary Magazine”. Marie has worked with many of Ireland ‘s leading Celebs and Cosmetic brands, and has worked with U2 for the Irish Music Awards. Marie’s work can be seen on the front covers of magazines, such as VIP, Woman’s Way, RTE Guide and The Sunday Independent Life magazine. For more info on Marie Joseph, or to find out if she has your wedding date free, check out her weddingsonline profile.